This post is a sponsored conversation on behalf of Vaseline. All opinions are my own. The world is a tough place these days and getting tougher all the time. Now, more than ever, it’s really important to take a break and take special care of the most important person in your life. You. I used to think of self-care as taking a whole day or a whole week to shut the world out and pamper myself. Now I know better and I know that self-care is all about the little things we do on a daily basis. 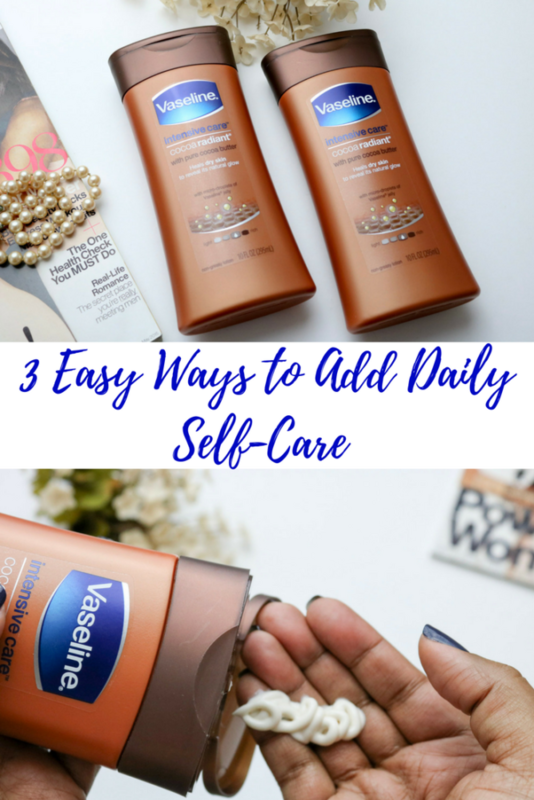 Today I’m sharing a few ways that I incorporate self-care into my daily routine. The first thing I do for daily self-care is unplug. Especially from social media with its constant call for engagement. When I focus too much energy outside myself, I get drained and fried which is no good for me or those around me. Taking time for meditation or quiet reflection is high on my list of daily self-care. Whether I write in my journal or do a focused meditation session, I always feel 100% better about myself and my life. I even found a cool meditation app that makes it easy to take a few minutes to get centered, focus on my breath and gather my inner resources. The app sends a reminder each day at time I choose so even if I forget, I have a little meditation helper on my phone. The sessions start with a super quick 10-minute meditation and as the days go on, your session times increase. It’s like building a meditation muscle. Good stuff! Pampering is also a key component of my self-care ritual. Treating my bathroom like a spa makes me feel fancy. Bubble baths, fragranced showers, scented candles and fresh flowers all contribute to a greater sense of well-being and it’s really easy to do. Of course, when I step out of the bath, I load up on moisturizers for face and body. 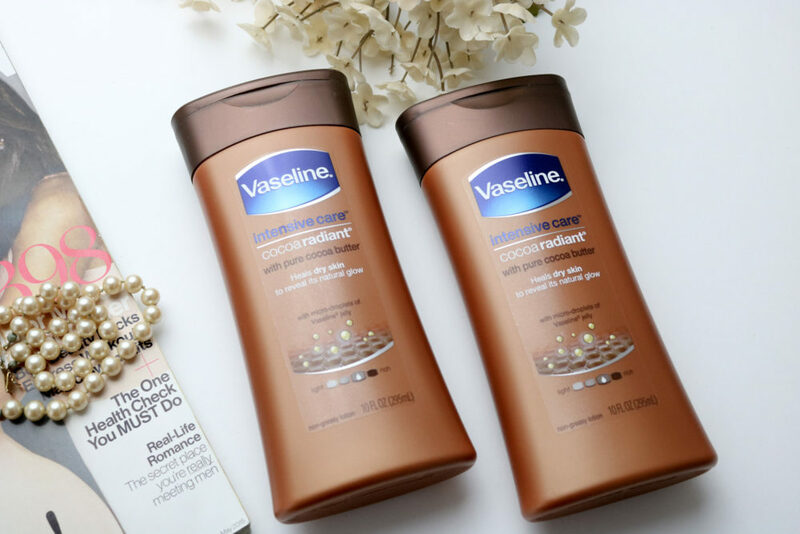 Vaseline® Intensive Care™ Cocoa Radiant™ Lotion contains pure cocoa butter to leave skin deeply moisturized plus Vaseline® Jelly that absorbs deeply to heal dry skin, revealing its natural glow. 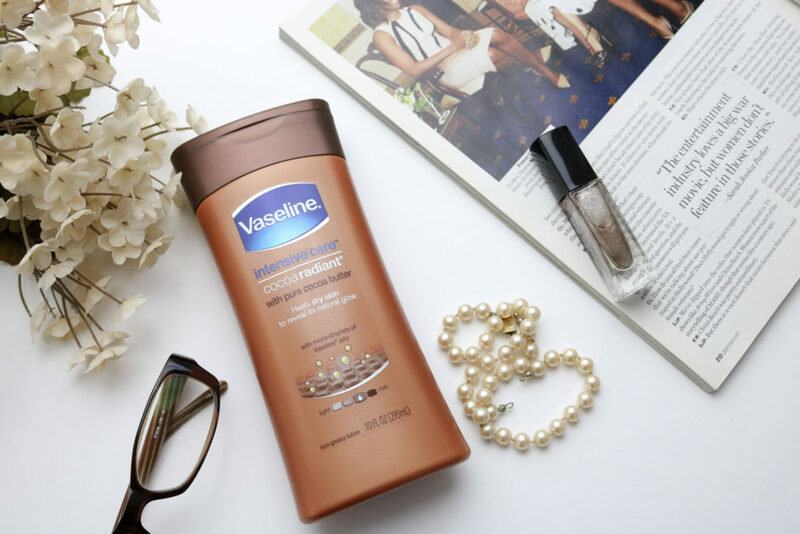 Keeping a glow in winter is no easy feat but Vaseline Cocoa Radiant makes it quite a bit easier. I know what you’re thinking. 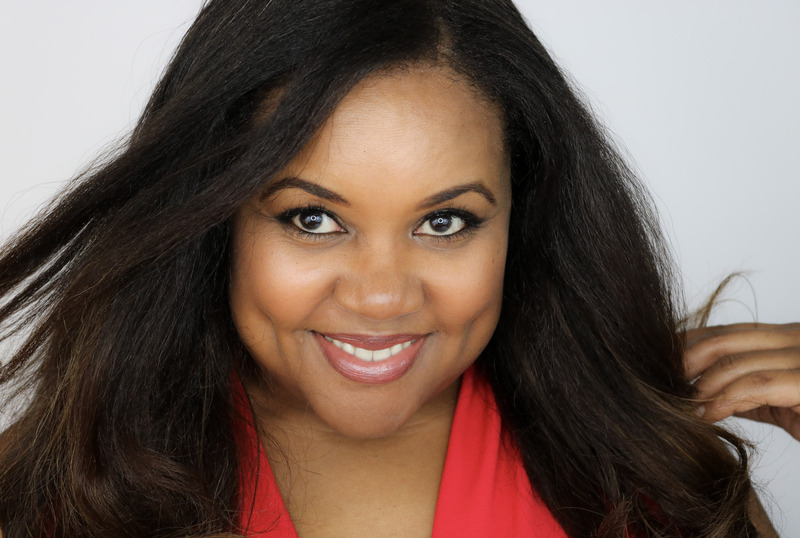 ‘Who has time for exercise during an already overstuffed day?’ But really the question is, can you afford not to devote some time to exercise every day? I’m advocating for something simple and easy. For example, finding time to take a walk around the block or spending 15 minutes stretching? It all counts! When I take a few minutes to stretch, my energy increases and I immediately feel better. Lately, I’m focused on lower body stretching, particularly my hips. I sit so much during the day that hip stretches are practically mandatory. Still working on getting my perfect pigeon pose but hope springs eternal! All these self-care actions help lend a sense of confidence in my ability to take on whatever my day brings. And goodness knows, my days bring a lot! Even better is knowing that every purchase of Vaseline® lotion (or jelly) in the U.S. will help support Direct Relief through a buy one to help heal one promotion. Learn more about the Vaseline® Healing Project and see the difference that Vaseline® is making. And to make it easy for you to try Vaseline Cocoa Radiant and help the Healing Project, here’s a coupon clipped just for you! What are some ways you commit to self-care and how is your life better because of it? This post is a sponsored conversation on behalf of Vaseline. Thank you for continuing to support all TPP collaborations. Next Post Can A Plastic Surgeon Create Superior Skincare? I need to work on exercising every day. I already use Vaseline products and wouldn’t take anything for them. I swear by this lotion, and it is the only one I use. 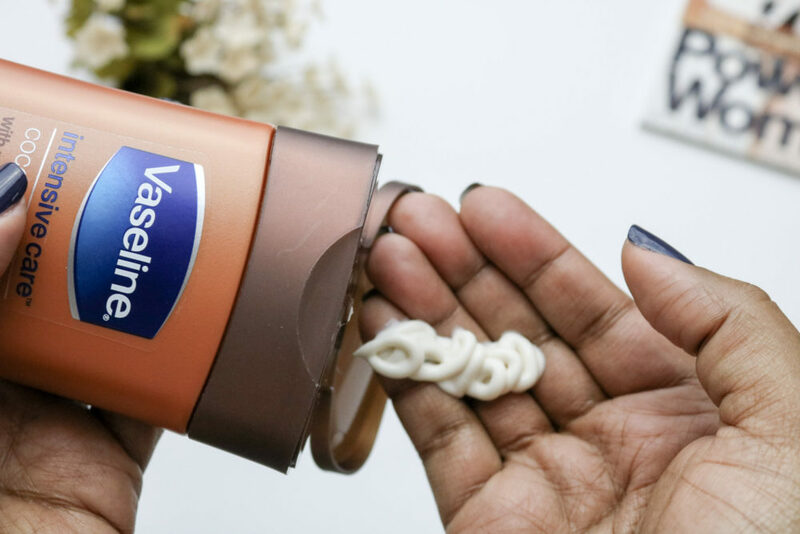 My skin gets so dry in the winter that Vaseline products are the only thing that really moisturizes my skin. So important to take care of ourselves! I agree that we need to have some quiet time and unplug. About the product, I will have to check and try it soon. It’s definitely important to make sure that you have all the tools that you need in order to make yourself feel better! Setting up a home spa would be awesome! I recently started a new workout program and it is helping so much. I feel like the 20 minutes I spend are helping to relieve the stress of the day. I’ve been a little (okay a lot) neglectful in these areas. I need to read my Bible, be more active and play spa date at home on a more regular basis.